While promiscuity has historically been frowned upon in many societies, in the microbial world, it is essential for survival. 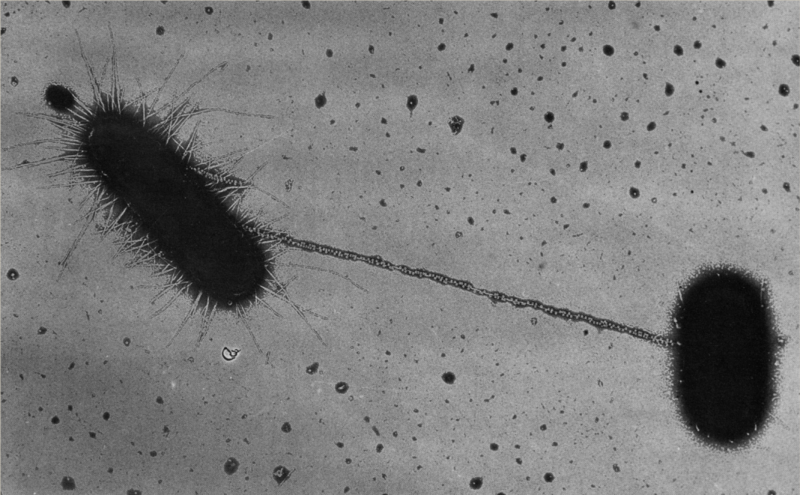 The idea that bacteria swap genetic material between themselves was first described in the late 1920s and was dubbed horizontal gene transfer (HGT). Though an abundance of research has elucidated the molecular mechanisms for this transfer of genetic information, only recently have researchers discovered that bacteria in the human body are sharing genes with one another at a higher rate than is typically seen in nature. More interestingly, these genes appear to be traveling—independent of their microbial hosts—from one part of the body to another. “A better understanding of this phenomenon also will have significant public health value, since the emergence of multidrug-resistant pathogens as a result of the horizontal spread of antibiotic-resistant genes has become a global concern,” states senior study investigator Arshan Nasir, PhD, of COMSATS University Islamabad, and who is currently a distinguished fellow at the Los Alamos National Laboratory in New Mexico. While more labor-intensive, the new approach enabled the team to overcome this barrier. The researchers sampled bacteria from six human body sites: the gut, skin, oral cavity, blood, urogenital tract, and airways. Amazingly, the research team found evidence to support earlier findings that human-associated bacteria are quite promiscuous with their genes. About 40% of gene swapping occurred among bacteria living in the same body sites. The other 60% involved gene sharing among bacteria in different tissues, for example between organisms in the gut and in blood.